Boy, it was “fry an egg on the pavement” hot today. Even the pool was little relief…bath water warm. I did my usual hour with lots of sunscreen and then needed a nap from all that hard work. Still using 30 spf on my legs, 50 spf on chest and shoulders, and 70 spf on my face. Thanks again to Rebecca for the recommendation of Sun Bum sunscreen…it really is good. Here’s one thing I’ve learned…my toenail polish will not hold up to sunscreen…makes it gloopy. I do have enough sun to routinely go out in public with shorts and sleeveless tops, which is good because it is sweltering hot. 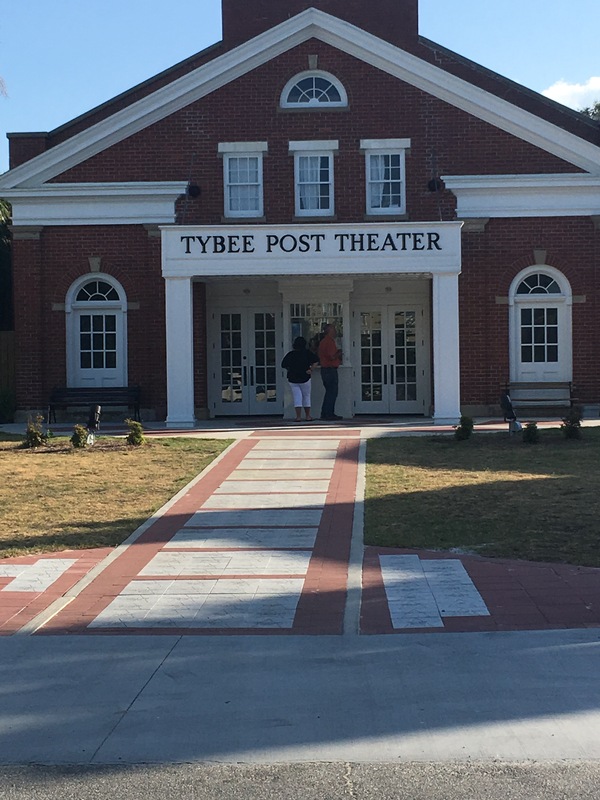 Checked out a movie at the cute little Tybee theater. Saw the new Baywatch because it was largely filmed on Tybee. Predictable outcome adventure movie with WAY too much cussing. This is NOT the movie to take your children to see unfortunately. I’ve seen more than my share of manly parts (yes, those parts!) for a solo vacation. But any time you can watch Dwayne “The Rock” Johnson is a good time. 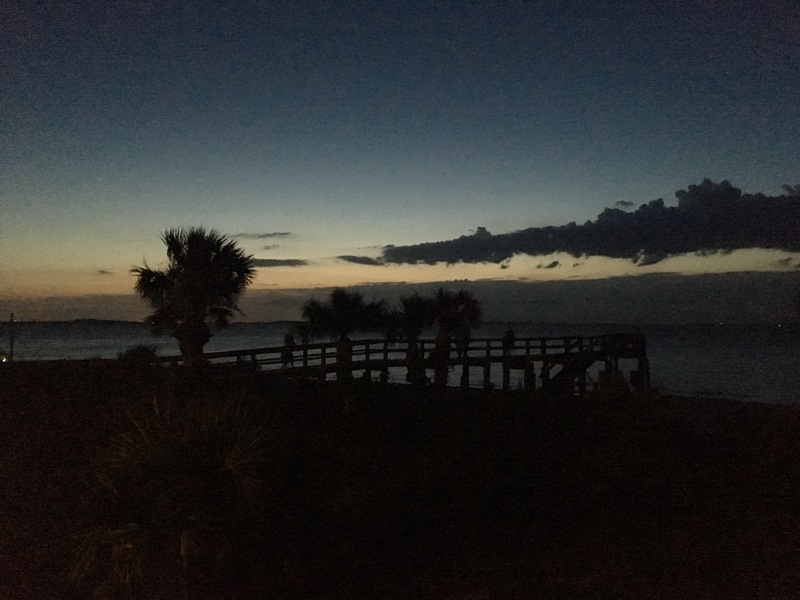 Just so I never forget how lucky I am…another beautiful nightfall.